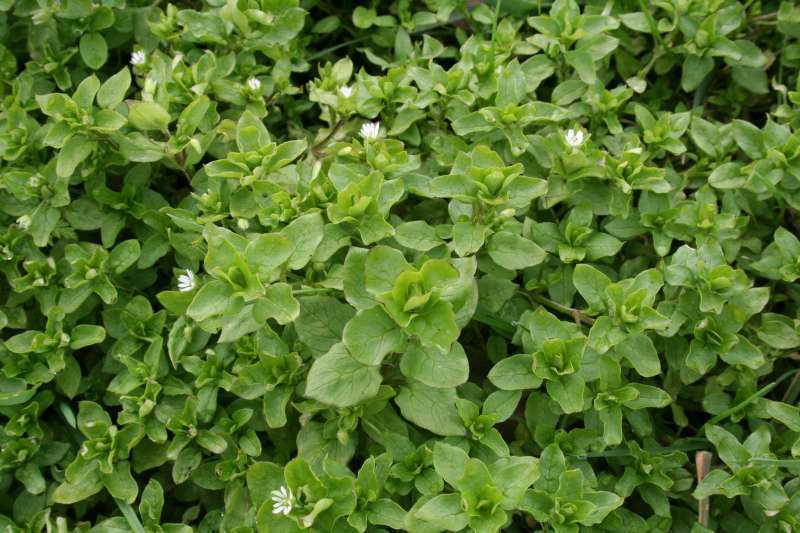 Chickweed is an extremely common garden weed so it is usually overlooked as a valuable plant and weeded out immediately. Nevertheless it is quite acceptable in a salad, being of nice texture and not a strong flavour. Its leaves are small so it is not often easy to pick enough to be really useful unless it is growing on a rich enough substrate when it can grow to be quite succulent, as the picture below shows. Note the small white star-shaped flowers, hence the name 'stellaria'. Both pictures were taken 13th March 2009 on the edge of the fen road from Reach to Upware (map ref TL544 671). It's fertile fen soil and the second photo shows the field edge. 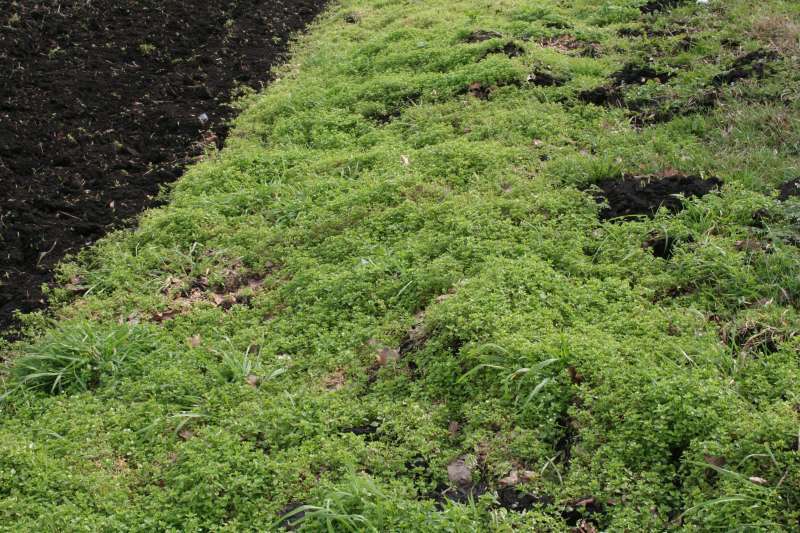 Almost all the visible greenery is chickweed! Page first published Saturday 14th of March 2009.